32 pages, 14 × 21 cm, 16 colour illustrations. 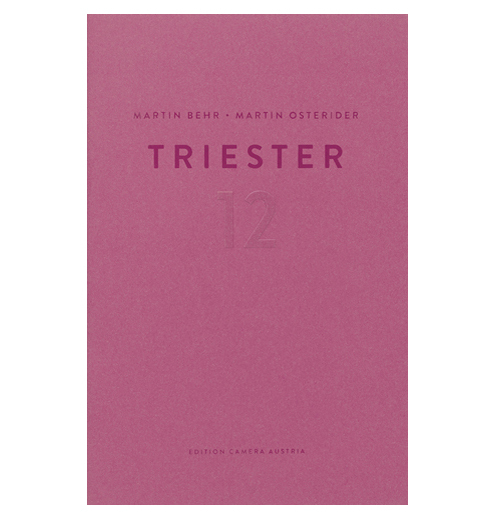 Martin Behr, Martin Osterider: Triester band / volume 12. 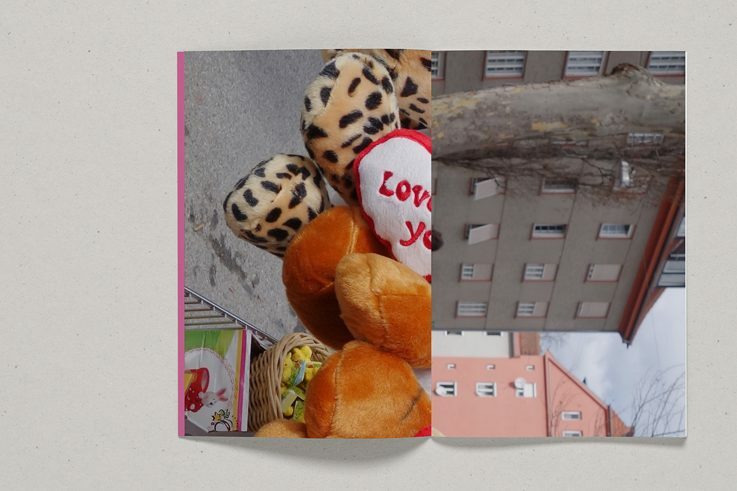 Since 2003 the artists Martin Behr und Martin Osterider, both born 1964 in Graz, have been embarking on photographic forays into the Triester settlement in the Graz district of Gries, where they both grew up—independently of one another and on a regular basis. They always take the same two paths, ones they had both often traversed during childhood on walks with family or relatives: the “long” and the “short” circuits. “Triester” is a rare long-term project with open documentation that eschews any kind of ascriptions or any projection of knowledge onto the issues at hand. Instead, it demonstrates interest in the chasms between memory, experience, history, and the present—allowing a narrative to emerge that resembles a temporal cartograph. Since 2013 a series of 12 volumes has been published as edition Camera Austria. Spread from: Martin Behr, Martin Osterider: Triester volume 12.